Offered for your consideration is this very early Powers Cameragraph No. 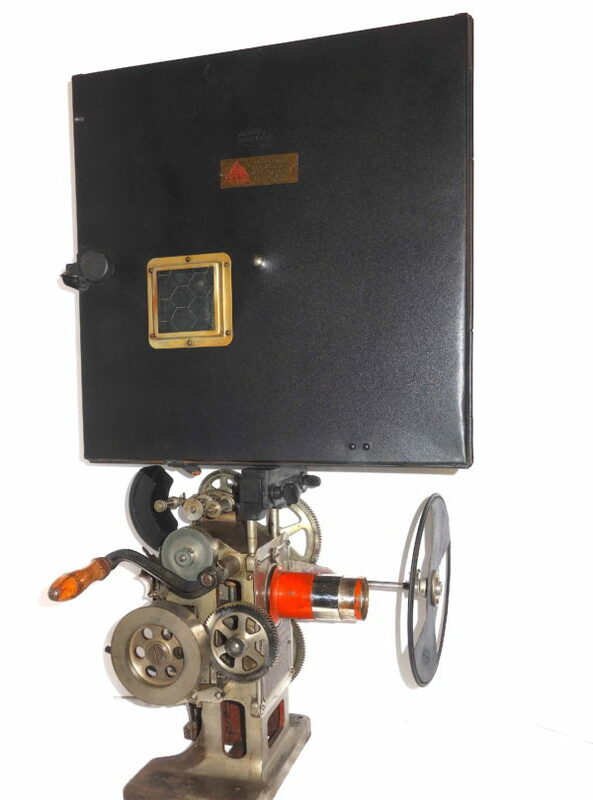 6, 35mm hand cranked motion picture projector artifact made by The Powers Peerless Cameragraph Company of New York in Circa 1906. Nicholas Power’s projectors were, along with Edison’s machines, the first American projectors produced on a commercial scale. They were extremely popular and a large number were exported to Britain and around the world. A dabbler in real estate before being involved with film presentation, Power was acting as projectionist at Koster & Bial’s Music Hall New York in the autumn of 1896 or spring of ’97, and later at a vaudeville theatre in Brooklyn. Dismantling the intermittent movement of an Edison projector he was unable to re-assemble it in time for the evening show – and quit, either voluntarily or ‘by request’. 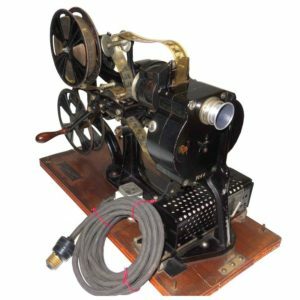 Shortly afterwards he started a repair shop for Edison projectors, and in 1897 or ’98 developed his own machine, the Power’s Peerless Projector. Few were sold, but shortly afterwards came the Power’s No. 1 and several subsequent models, with the No. 4 of 1905 selling thousands, and the No. 5 proving equally popular. 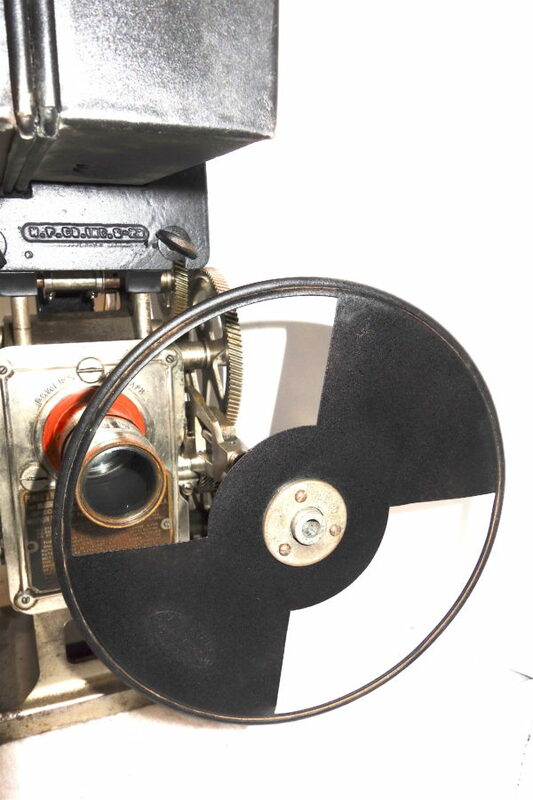 Power’s ‘Cameragraph’ projectors incorporated a novel variation of the Maltese cross, designed to speed up the pull-down of the film and thereby reduce flicker on the screen. 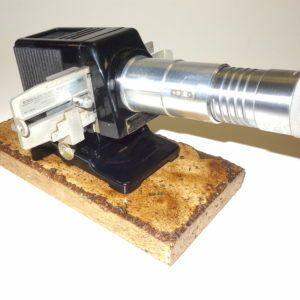 This example is a non working artifact having all original components with a vintage era accurate hand crank. There are some missing parts, including the lower take up magazine, lamp house and stand, yet most of the projector ‘head’ presented here, stands as it did in 1906. 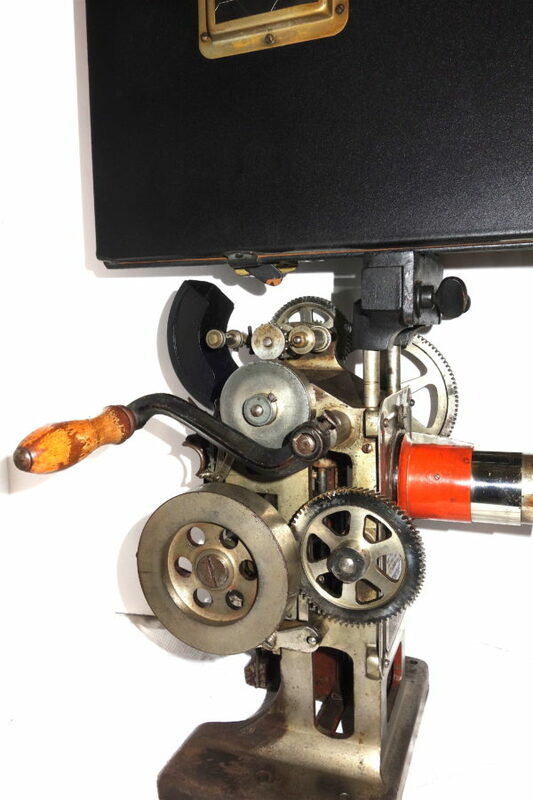 The finish on the projector head is original and the finish on the feeding film magazine looks to have been properly resprayed in the past with a correct finish paint. All labels are circa 1906 and intact including model, brand and serial number labels. 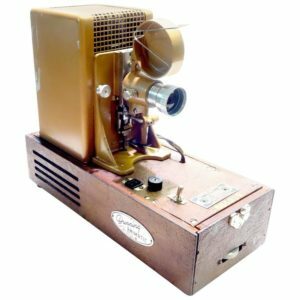 This incredible example of early 20th century 35mm hand crank cinema projection is perfect as a display in a collection or as a distinctive sculpture that stands on its own with gorgeous 1906 patina. A rare living example of early motion picture history. An original Power’s, later but similar model, PDF manual is included with this purchase.